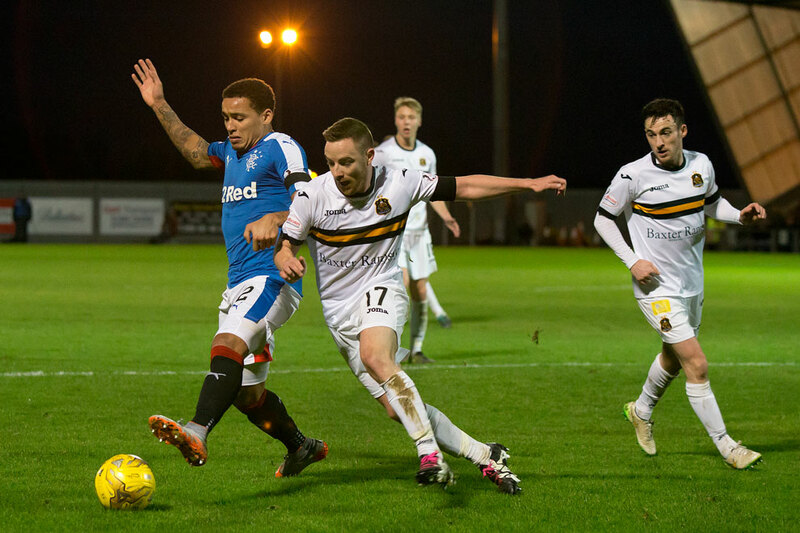 It should be noted that there is a real margin of error here given the camera angles from Dumbarton’s stadium & the interesting directorial decisions by the Rangers TV crew on Saturday. Of Rangers total shots, 60% came on controlled entries into the final third & half of their goals came from CZEs. Rangers nearly doubled their Controlled Zone Entries from last week against Hibs but is interesting to note that they had the same success rate when it came to generating shots. In both matches they got a shot on 30% of their controlled entries into the final third. James Tavernier led the way with 21% of the CZE & the goal that came on his 64th minute CZE actually began with the right back having a controlled exit from the defensive third. He sent the ball up to Barrie McKay who eventually gave it back to Tavernier as he entered the final third. 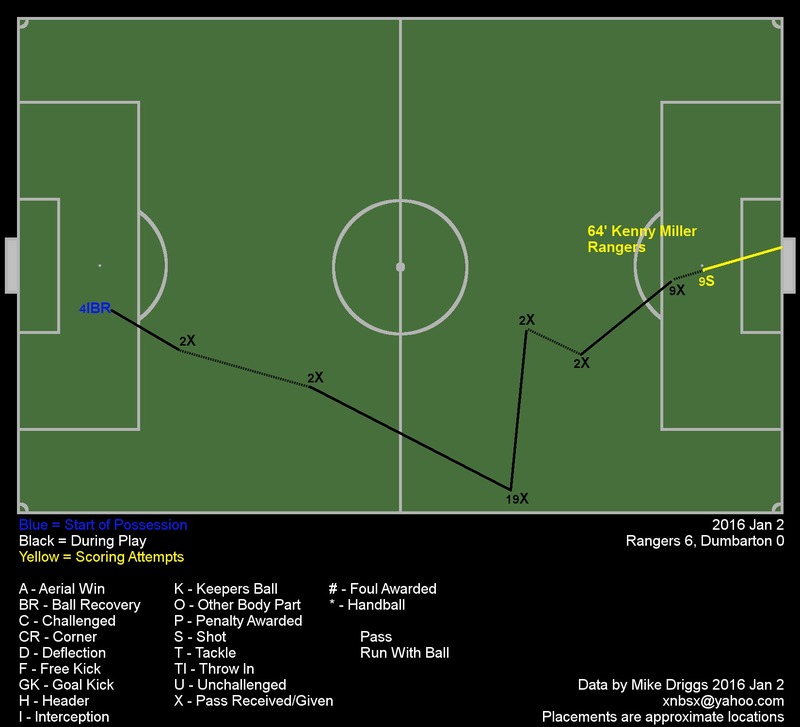 From there, Tavernier set up Miller’s third goal of the game.